Elko, Nevada is much different today than in 1978. 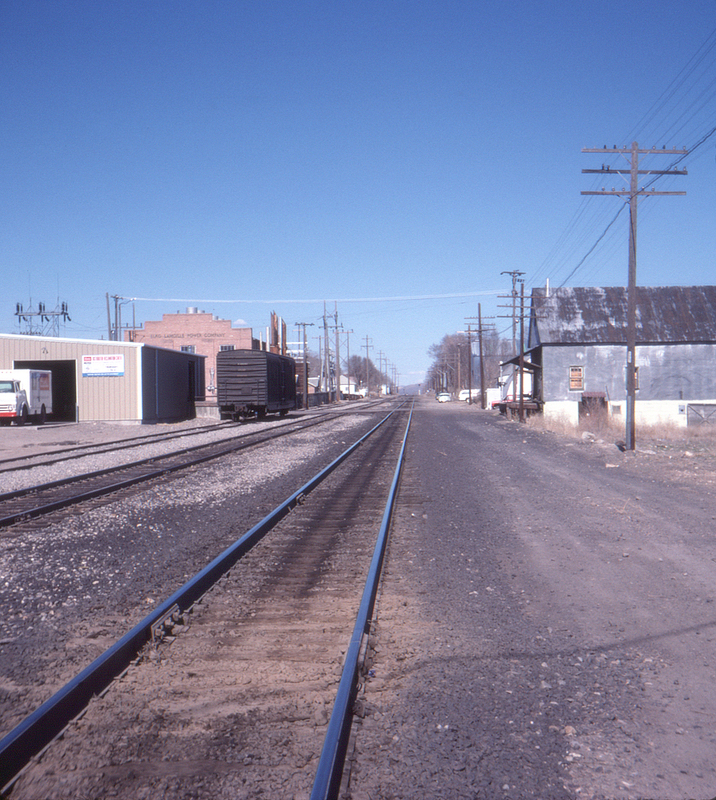 In this view of the Western Pacific mainline looking northeast, the gravel road on the right bears the proud name of Silver Street; the grade crossing ahead is for Seventh Street. Today the Southern Pacific and Western Pacific (both now Union Pacific) mains have been relocated south to run along the Humboldt River, and Silver Street (sans tracks) is now a two-lane-plus-center-lane-plus-parking-lanes paved thoroughfare. The brick power company building at left, however, still stands.